A thatched roof gives a natural charm to a house; reed as a roofing material especially fits well with rustic, traditional-style houses. 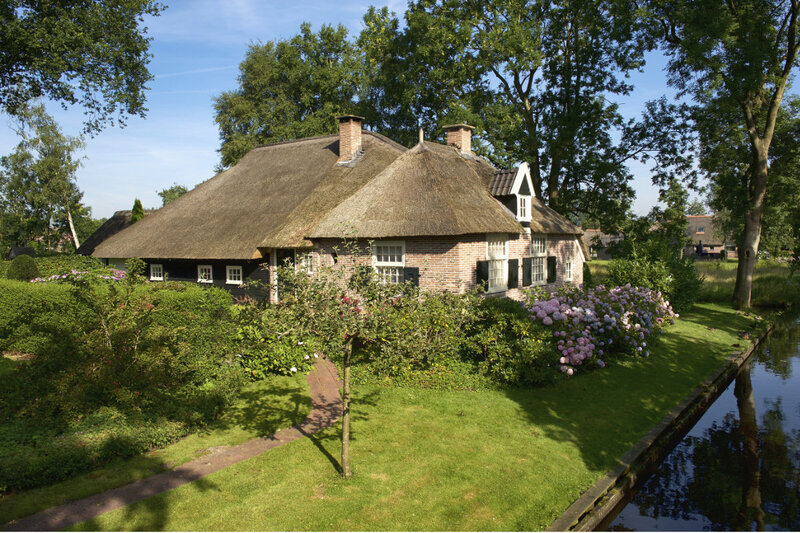 Generally, two constructions are possible in the case of a thatched house: the traditional open roof and the closed roof. 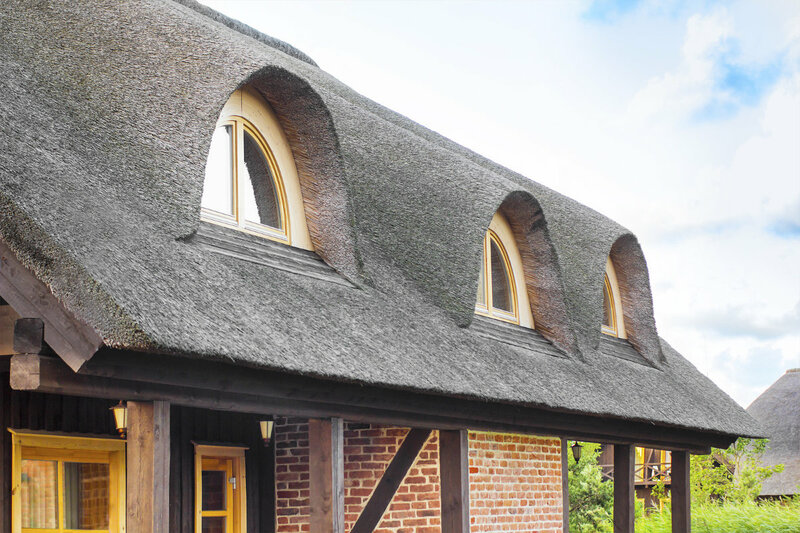 We can distinguish between two types of thatched roofs: a traditional open roof and a closed thatched roof. So there are some substantial differences that you should take into account when determining the roof type. In case of an open construction, the reed is tied onto so-called laths. The reed is applied from bottom to top by means of special tools and galvanized sticks. This roof type is characterised by an open space between the reed and the substructure, as a result of which air can circulate well. The in- and outside of the roof are thus not strictly separated from each other. This roofing technique has been applied for centuries, although it is facing increasing competition from a more modern technique. + The reed is visible on the inside of the house, which is considered an advantage by some people. In case of a closed construction, one fixes the reed onto a closed surface (insulation boards, multiplex or underlayment). 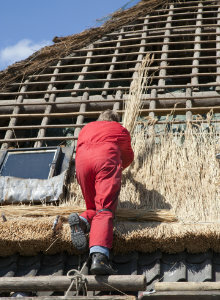 This construction is, contrary to the traditional and ‘open’ working method, an important evolution in thatching. The fire safety has improved strongly and there won’t be any draught or dust at the bottom of the roof construction. Moreover, this system leads to better insulation values than a traditional thatched roof. In terms of finishing, you are free to choose the material you want. – Since the method is quite new, we do not entirely know the life span of the substructure on the long term yet. – A closed roof is more expensive than an open construction. However, you will definitely earn back the investment in the longer term (lower energy costs, lower insurance premiums). How much does a thatched roof cost? In the first place, the price depends on the surface of the roof. If you want a special roof with many details (such as dormers), the cost will increase. Depending on the details and finishing, you will pay £60 – £85 per m² on average. Also take into account the costs for the ridge tiles, which are available in different materials. So the price may vary as well according to the chosen ridge tiles. You can easily compare prices and realisations via our online quote service. Remark: the average guide prices in the table are inclusive of VAT and roof ridge. Additional costs like dormers and roof windows are not included. You can request customised prices over here. 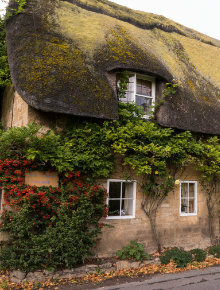 Algae and mosses are the biggest enemies of thatched roofs. These may start to form a sealing layer, as a result of which the reed can no longer dry and breathe well. Because of this, the quality of the reed will deteriorate quickly. It is therefore important to treat the roof with a moss and algae killer. It is best to leave this job to a professional roofer, as misuse might actually cause problems (mould) instead of solving them. Furthermore, it is advised to remove overhanging branches as much as possible. Reed does not dry well when dewdrops reach the roof at the same spot every night. Too much shadow of surrounding trees is not conducive to the roof’s life span either. 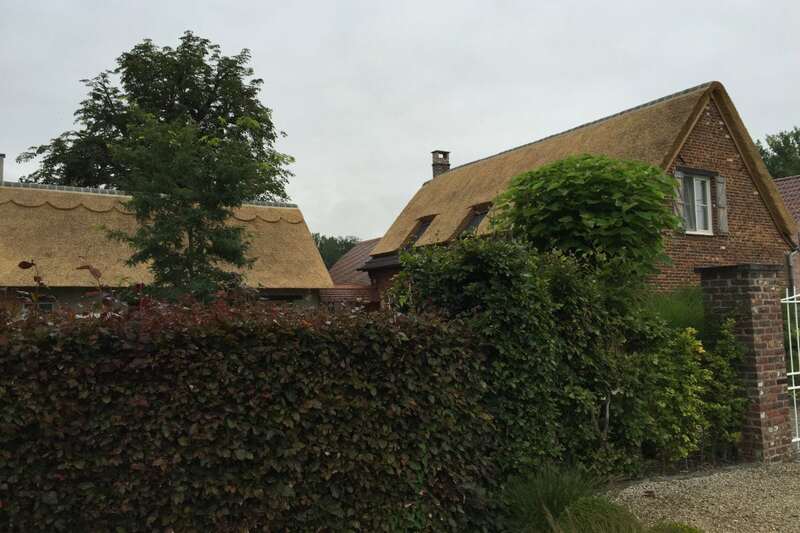 Do you want to install a thatched roof in a wood? That may be a bad idea. Leaves and pine needles should be removed from the roof at least once a year. Otherwise, they will influence the drying capacity of the reed. 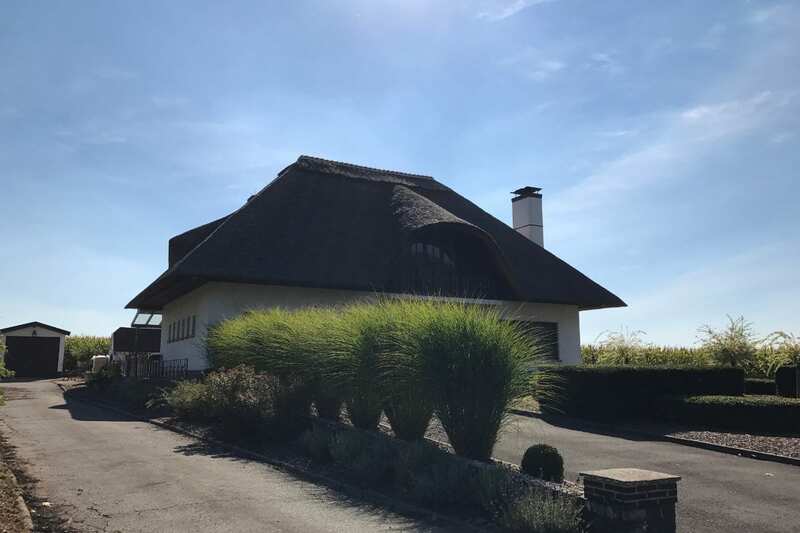 If the roof has been well designed and if the reed has been applied in a professional way, a thatched roof can last at least 25 years. A longer life span is definitely possible; situations occur in which the thatched roof is still in good condition even after 35 or 40 years. Decisive in this respect is the angle of inclination, together with the quality of the roof maintenance. From an aesthetic point of view, both an old and new thatched house have many charms. In some cases, people replace a thatched roof purely for aesthetical reasons. In order to guarantee a long lifetime, the installation and construction of the roof is of major importance. Rely upon a professional and recognised thatcher. You can request free quotes on this page. 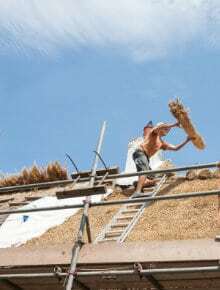 The ridge of a thatched roof can be finished in several ways. Mostly, one uses ceramic ridge tiles. These are available in many traditional colours and, if desired, they can be glazed as well. Next to that, you can also opt for copper ridge tiles. Due to the formation of copper sulphate, they hamper or slow down the growth of mosses and algae. This is a great advantage, as mosses and algae may influence the lifetime of a thatched roof in a negative way. Recently, plastic ridge tiles have been designed. These are completely maintenance-free. The life span of thatched roofs mainly depends on the angle of inclination. The following principle applies: the steeper the roof, the longer it will remain dry. A roof that continues to be damp, won’t last as long. As a result, roofs with an inclination of less than 25° are totally unsuited to to be covered with reed. Damp cannot drain in a natural way then. Roofs with short roof planes between 25 and 30 degrees are eligible, although their life span is not optimal (5 and 12 years respectively). A roof with an inclination angle of 45-50 degrees is ideal: it will last 28 to 40 years. It is also possible to insulate a thatched roof. How this should happen, depends on the type of construction. If the thatched cottage or house has an open roof construction, the insulation material is applied to the inside. One must always cover the insulation with damp-proof foil. By doing so, the construction is sealed airtight and damp from the house will no longer be able to reach the roof construction. Afterwards, this damp-proof layer can be finished with plasterboard or some other sheet material. You can save a lot of energy by insulating the roof this way. However, the insulation method of a closed construction is – technically speaking – even more effective and more frequently used. Installers apply insulation panels onto the roof construction. Before this is done, a vapour barrier is fixed onto the warm side of the insulation. In the case of a closed thatched roof construction, the insulation value will be Rc 2.5 or more. 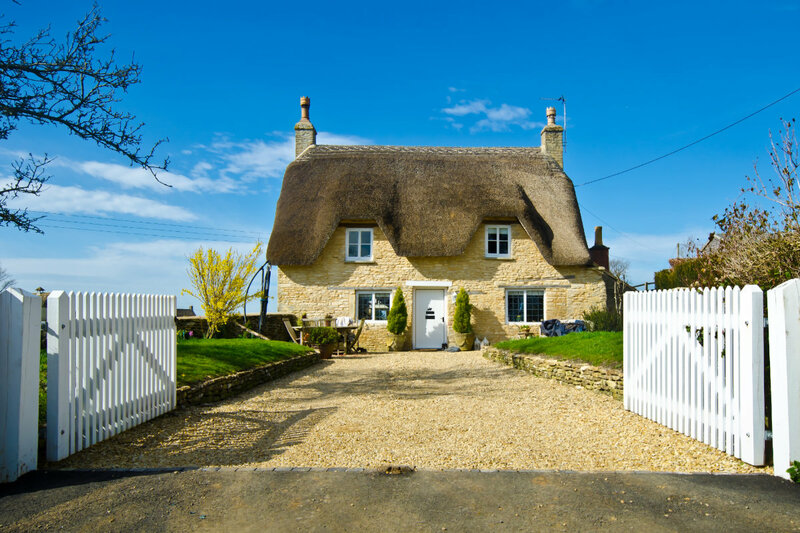 Which roof has the best insulation value: a tiled roof or a thatched roof? In average conditions, a traditional tiled roof and a traditional thatched roof with no additional insulation roughly perform the same. If the wind is still, a thatched roof has a higher insulation value (Rc=1.5). Reed keeps out the heat in the summer, whereas the heat is better preserved in winter time. In this picture, we can see a beautiful and big thatched roof with a dormer. One can perfectly integrate a dormer into a thatched roof. In this example, the dormer is finished with unique tiles instead of reed. This adds a special touch to the whole, as the dormer immediately catches the eye. Over time, the roof will slightly lose its colour due to the sun, as reed is a natural material. A rustic greyish-brown colour shade will appear. The material of the ridge tiles is clearly visible here: they are made of ceramic. The colour of these ridge tiles is fully adjustable to the colour of the reed. The combination of the thatched roof and the brick walls gives these houses an authentic and rural appearance. Thatched roofs do not necessarily have an old-fashioned look. The picture above illustrates that a sleek, modern-looking house can be finished with a thatched roof as well. The white walls contrast with the roof, but they perfectly complement each other at the same time. Moreover, the balcony that is covered with reed looks very stylish.